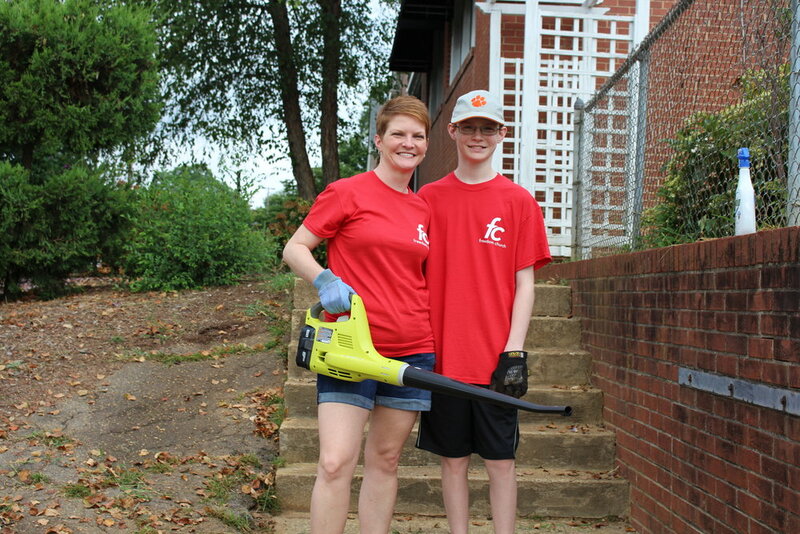 At the end of every summer semester, our Freedom Groups join together along with our Freedom Church family for one day of serving our community in love -- Serve Day! Next year, we will be serving some of the Senior Citizens in the City of Mauldin from 8:30 am - 12pm on Saturday, July 20, 2019. We can think of no better way to serve our neighbors than to help brighten the day of some of our senior citizens! We will be doing light weeding, clearing out flower beds, as well as pressure washing and other landscaping duties. And there will be a cookout to follow! Mark you calendar as we join over 800 churches nationwide as we serve our communities. You can sign up to participate in Serve Day using this quick, easy form below! Note: If you are registering for more than one person, please be sure to complete at least the name and t-shirt size for each individual being registered! Let us know your shirt size for your Serve Day t-shirt! Yes! I want to be involved with children's activities at the Mauldin Saturday morning market! Thanks for registering for Serve Day! We can't wait to serve with you!